Kettle Bells are useful tools as part of your cardiovascular and strength training routine. Initially used by the Russians to weigh crops, this cannonball-shaped tools, ranging in weight from 4kg to 24kg, will raise your heartbeat and speed up your metabolism. 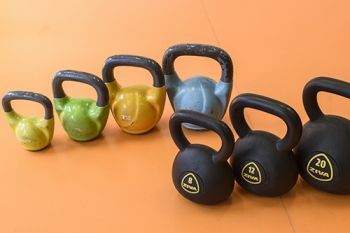 You can perform a variety of exercises using the kettlebells including Russian swings, rows and high pulls.